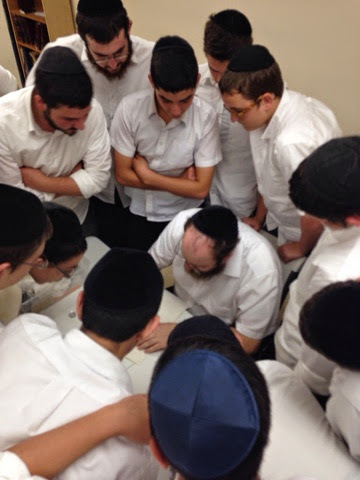 It was a fun and exciting learning experience. 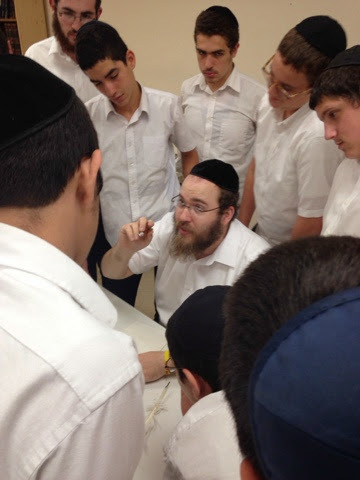 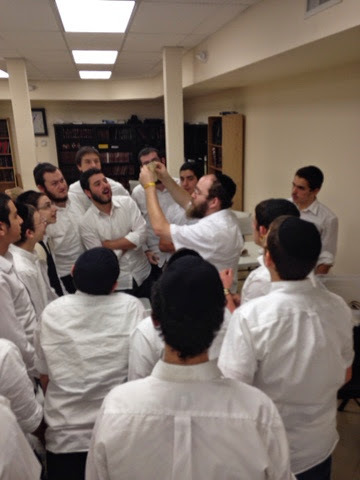 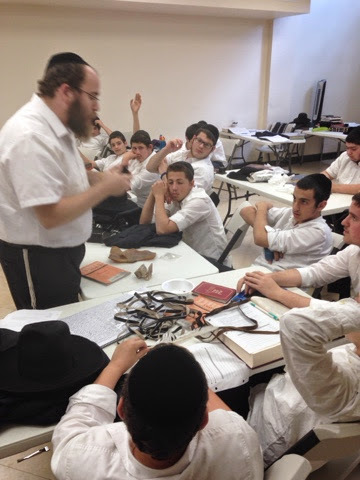 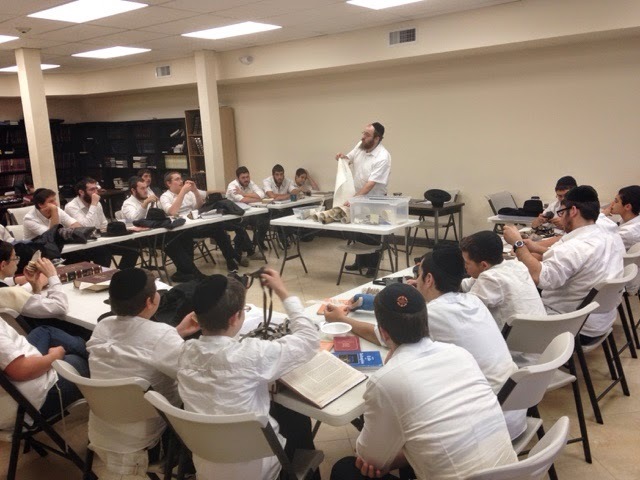 Rabbi Klein gave the Bochurim a crash course in Tefillin making from start to finish. 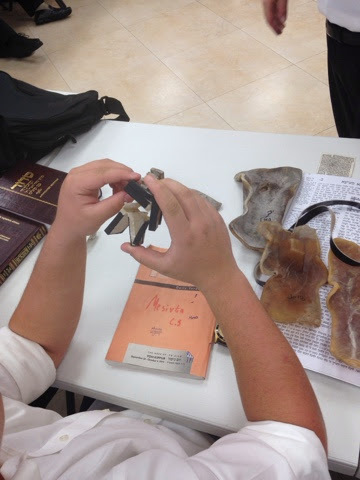 He had many samples and taught various halachos as they were being passed around. 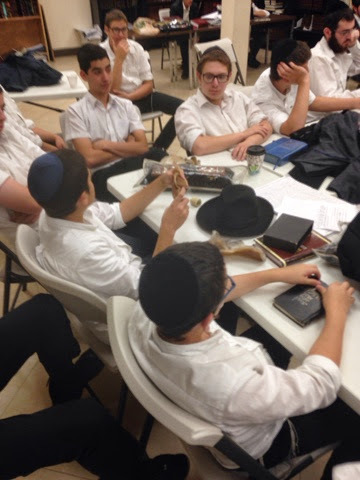 It really gave the Bochurim a better understanding and appreciation for Tefillin. 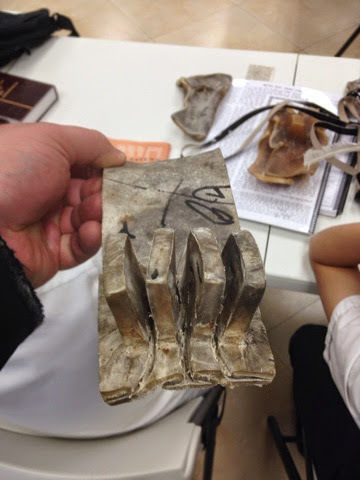 The Bochurim also learned about The "Klaff" used for ספרי תורה, and learned many halachos about writing the letters. 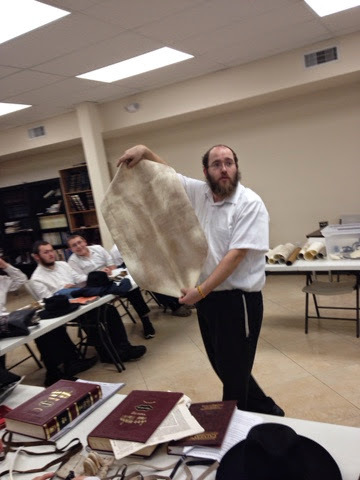 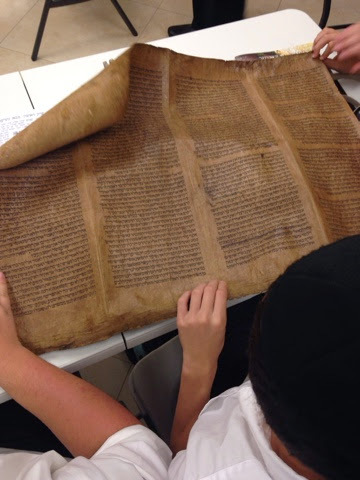 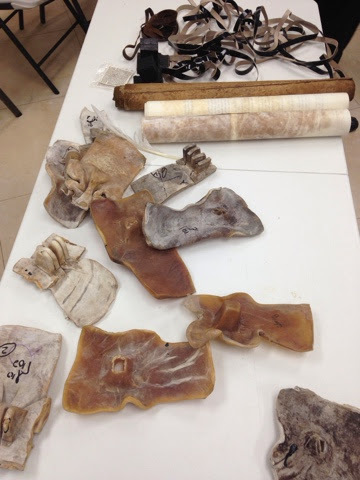 rabbi klein then passed around a Part of a torah written on deer hide! 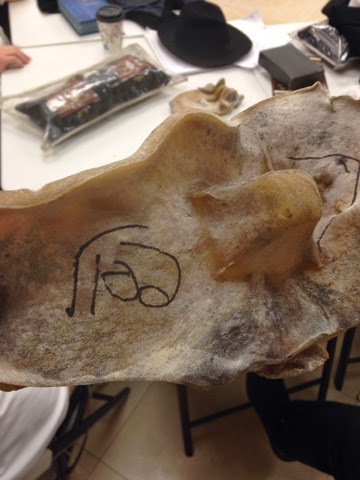 (Which was done in Spain).